Used in Herbal Medicine to help increase bile flow. Gentian® is traditionally used in Herbal Medicine to help relieve digestive disturbance/dyspepsia. Appetite Loss? Pascoe Can Help! 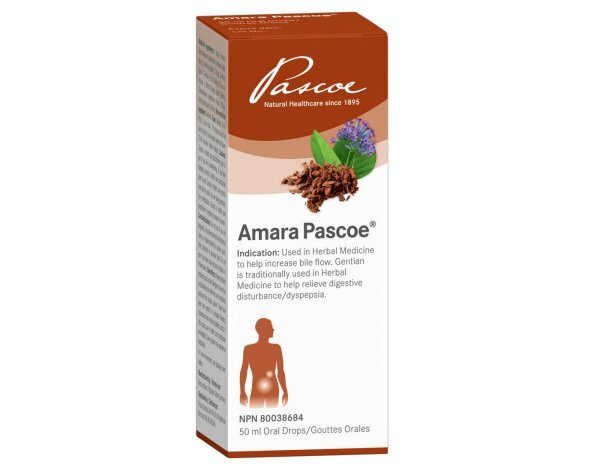 Amara Pascoe is used in herbal medicine to help increase bile flow. Gentian is traditionally used in herbal medicine to help relieve digestive disturbance/dyspepsia. The 50 ml drops are suitable for ages 12 and up and the drops should be taken diluted in warm water about half an hour before meals, with a dosage of 45-60 drops 3 times daily. Amara Pascoe is made with the following active ingredients: Cinchona, Gentian, Bitter Orange, and Cinnamon using the extractant ethanol. Loss of appetite means that you no longer have the same desire to eat that you once did. Signs of appetite loss include not wanting to eat, unintentional weight loss, and no feelings of hunger. In addition, the thought of eating food might make you feel nauseous, and after eating you might feel that you need to vomit. Short term loss of appetite isn't necessarily a problem, but instead can be a reaction to factors of everyday life, such as stress. Appetite loss can also lead to other, more severe, symptoms such as rapid heart rate, fever, irritability, feeling ill, extreme fatigue. While appetite loss can sometimes happen in the short-term, if it persists one can develop other illnesses including malnutrition, vitamin deficiencies, and electrolyte deficiencies. These illnesses can lead to life-threatening complications. While everyone could suffer from appetite loss at some point in their life, some people are more susceptible to it. This includes the elderly, people recovering from alcohol abuse, and people suffering from digestive disorders. Bitter substances, such as Amara Pascoe from Pascoe, stimulate the production of digestive juice, and therefore increase food tolerance, promote salivation, promote the secretion of gastric juices and stimulate the digestion of fat. Amara Pascoe has a bitter taste that might be unpleasant at first, but the body quickly adjusts to the foreign taste. Appetite regulation is controlled by the communication between different systems in the body. It is a complex process that includes the central nervous system, digestive system, endocrine system and sensory nerves. Together, they work together to determine appetite. A healthy balanced diet is important to keep the body in a homeostatic state. A homeostatic state is when you are providing your body with the calories and nutrients that it needs, while still maintaining a healthy body weight. Adults and children 12 years and older: 45-60 drops 3 times daily. The drops should be taken diluted in some warm water half an hour before meals. Stomach and duodenal ulcers, pregnancy, hypersensitivity to quinine, quinidine, cinnamon or peruvian balm. Hypersensitivity reactions such as skin allergies or fever may occasionally occur after the use of medicinal products that contain quinine. There have been rare reports of increased bleeding tendencies from reduced platelet counts. If this occurs, see a healthcare practitioner immediately. Predisposed patients may occasionally experience headaches after the use of medicinal products that contain Gentian Root.